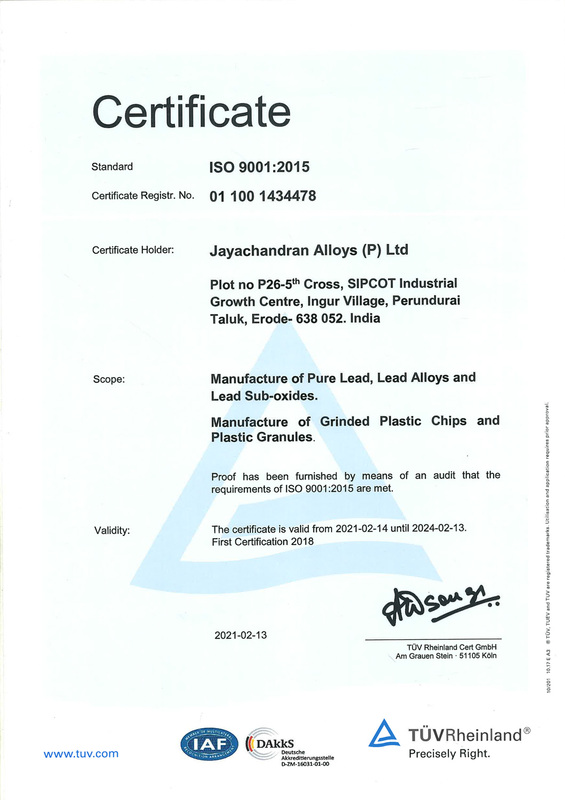 JC Alloys (P) Ltd is certified and authorized by ISO 9001-2008 standards. 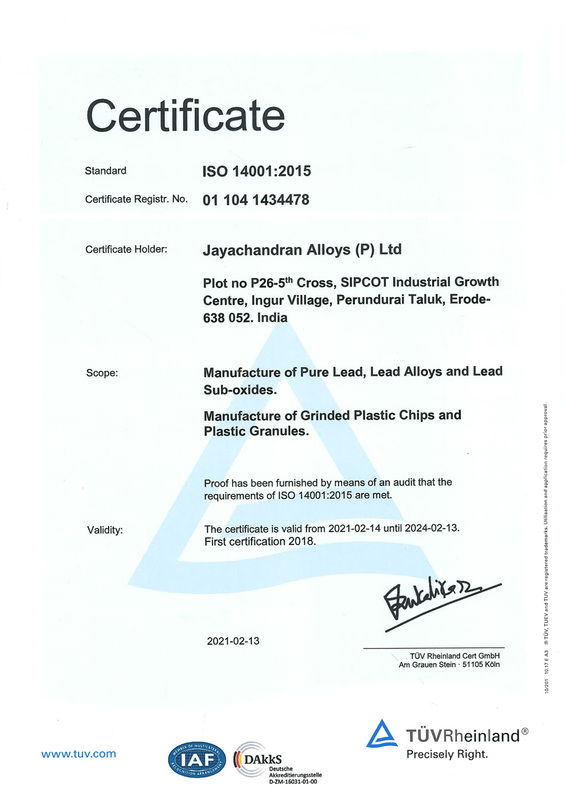 JC Alloys (P) Ltd is certified and authorized by ISO 14001-2004 standards. 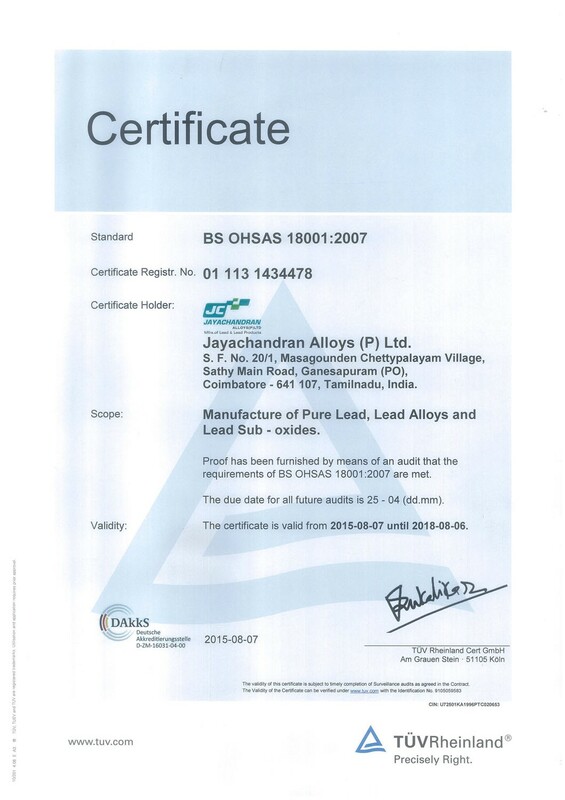 JC Alloys (P) Ltd is certified and authorized by BS OHSAS 18001-2007 standards.